This time last year was a bit of a difficult time for Truronian so it was nice to see this smart line up in Bretonside this last weekend. 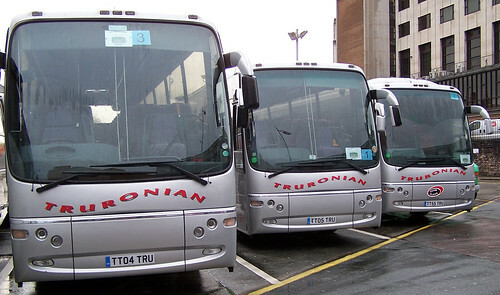 Three very smartly presented Volvo Plaxton coaches with 'Select' registrations TT04TRU, TT05TRU and TT55TRU. 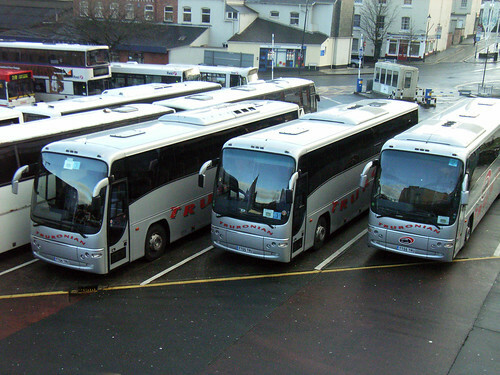 A much better view of the coaches - Thanks Brian!